With just weeks until the starting pistol is fired for Rio 2016, Ian Burrell hears how the key Olympic sponsors use PR programmes to activate their huge global brand campaigns. A television audience of 3.6 billion is expected to sit down and enjoy the greatest sporting show on earth, which opens in Rio de Janeiro on 5 August, but the PR campaigns for the biggest Olympic sponsors began long ago. 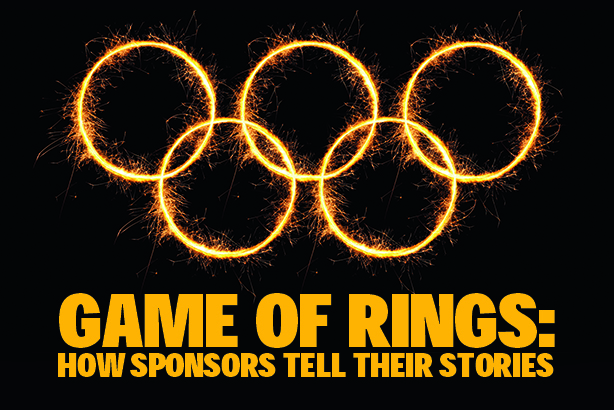 With top-level sponsorship rights costing more than $100m (£75m), the only way to maximise the value of that outlay is to generate brand narratives that are not limited to the 17 days when the Olympic flame burns in Rio. "The Olympics have ‘clean’ venues so any sponsor wishing to activate with impact has to design and deliver activation programmes that run for many years before the Games, either globally or in the host nation," says Joanna Manning-Cooper, former head of PR for London 2012 and now director of digital, marketing and comms for the Rugby Football Union. "It’s no good just focusing on Games time." So Rio 2016’s PR activity is already well under way, with campaigns variously featuring Brazilian stars (footballer Neymar for Panasonic), refugee Olympic athletes (Visa) and the mothers of athletes (P&G). PR’s role in shaping such stories has never been more important, with the media landscape transformed even in the four years since London. "It’s an entirely different ball game," says Kate Hartman, director of brand PR for The Coca-Cola Company, which has been sponsoring the Olympics since 1928. "Social media were truly still emerging in London 2012. We understood the importance of adding channels like Facebook and Twitter into our activation plans but, since 2012, we’ve seen the emergence of dozens of other outlets [such as] Snapchat, Instagram etc." Coca-Cola has been alert to the emergence of social media influencers with followings big enough to impact on brand stories. "Although we will always weigh a heavy importance on connecting with traditional media outlets to convey our message, we have inserted social media influencers into our media mix – not only to help communicate our message, but to help develop it as well," says Hartman. For Rio 2016, Coke has enlisted young British YouTuber Jake Boys (300,000 subscribers), Canadian fashion blogger Allie Evans and Australian sisters Cody and Alli Simpson to create bespoke videos to "help bring to life" for millennials the brand’s #THATSGOLD Olympic message that the "feeling of joy and happiness" that comes with topping an Olympic podium can also be had from guzzling the world’s most famous soda. Hartman says PR has a key bridging role in convincing the public to interact with a campaign: "PR is essential to help communicate what is meant by #THATSGOLD. We, as Coca-Cola, can tell consumers what we mean… but it doesn’t truly take on meaning until people really own and take part in that discussion – and help us develop the definition." Coca-Cola is amplifying its message by hosting The Coke Lounge as a "hub for celebration" for athletes in the Olympic Village, and the Coca-Cola Station for the public watching the sporting action in Praca Maua, downtown Rio. As a presenting partner for the Olympic Torch Relay, it can spread its brand message across all corners of Brazil, aided by 2,400 Coke-sponsored torchbearers. Hartman also highlights a legacy story, Coletivo Coca-Cola, in which young people from the favelas will be trained "to work within hospitality, venue operations and experiential roles, giving them valuable work experience and a once-in-a-lifetime chance to be part of the Olympic Games in their home city". Legacy is key to the PR strategy at another Olympic partner, GE, which is committed to making the Olympics more sustainable. With GE involved in 170 infrastructure projects at Rio, providing power, lighting, healthcare and other services, Christopher Katsuleres, GE director of Olympic and sport programmes, says the Games provide "a rare opportunity to show the breadth of what we do" and "help us position who we are as a company". Before London 2012, where GE worked on 175 wide-ranging infrastructure projects, GE was seen in the UK as "primarily a financial services company". GE’s PR team flew international media to Rio to witness its tech in situ at Olympic venues and has been telling the story of its role in "industry transformation" by sponsoring Brazil’s canoe and kayak team. GE scientists have created "a whole dashboard of data in real-time that the performance director and head coach use to give instant feedback", says Katsuleres. Athlete stories are also central to the PR strategy of Visa, Olympic partner since 1986 and provider of the official payment systems for the Games. It has filmed its ‘Team Visa’ sponsored athletes using its payment technology during Olympic training. The message is that Visa is "the only way to click, swipe, dip and tap at the Rio Olympic Games". According to Diane Scott, director of media and corporate affairs at Visa Eur­ope, the Olympic sponsorship offers a platform to "show how Visa payment innovations are helping athletes, fans, cardholders and our clients improve experiences they care about". Other PR opportunities to convey Visa’s brand messages of "acceptance, partnership and innovation" are provided by its sponsorship of refugee Olympians, including Syrian swimmer Yusra Mardini. "PR has the power to take the emotion conveyed in an ad and give it additional weight and context," says Scott, who adds that, in using social media, "it’s important we do not get so focused on the medium that we forget about the message". For Panasonic, an Olympic partner since 1988, the opening ceremony is especially important. The Official Ceremony Partner for Rio, it provides the audio-visual facilities for the Games. "We think that Panasonic’s technology and engineers will help to enhance the quality and excitement of the opening and closing ceremonies by delivering impressive images to audiences around the globe," says Tak Kosugi, head of worldwide Olympic and Paralympic marketing at Panasonic Corporation. The PR challenge is to ensure that the public is aware of Panasonic’s contribution and so its comms teams will focus on "behind the scenes" stories, told through a variety of platforms, from Facebook to hosting a corporate pavilion on Rio’s Sugarloaf Mountain. "Nobody knows that Panasonic provides technology for Olympic operations behind the Games if PR activity is not rolled out," says Kosugi. "Therefore, we think that PR activity is one of the most effective tools to showcase our sponsorship activities with our latest technologies." Panasonic, which uses the tech-driven slogan ‘Sharing the Passion’, has also hired Neymar to host an aspirational digital campaign called the ‘Dream FITA Project’, named after the Brazilian word for a wish bracelet. Samsung’s brand messaging will focus on its reputation for innovation, and will work on "both a global and a local level", says James Eadie, brand and comms director of Samsung Electronics UK. In the UK it will seek to tap into the fan passion usually associated with team sports by recapturing the spirit of London 2012. "The UK is a nation of sports lovers and we see a role for Samsung to help facilitate that fandom," he says. "We want to enrich the experience of Team GB supporters across the country; either directly through our technology and products or through access to talent, experiences and content." P&G’s Olympic campaign is a sporting take on its everyday ‘Proud Sponsor of Mums’ theme. But while its Sochi Winter Olympics 2014 work was about mums preparing future Olympians for the ice and snow, its Rio campaign, ‘Strong’, is darker, depicting mothers instilling resilience in children in the face of bullying, disasters and road accidents as a path to Olympic success as gymnasts, divers and beach volleyball players. The film has already been viewed 117 million times. The value of such work is evident in "the positive emotional reactions, the high levels of earned awareness and the huge in-store support that translates to increased purchase of our brands," says Aimee Goldsmith, P&G head of comms, Northern Europe. "Let the Games begin," goes the saying. But for the PR teams of the top-tier Olympic partners, many of which have been sponsors for decades, it is an ongoing process.